Good news for United Airlines customers–if you’re connecting on a partner carrier you can now use your United app to retrieve those boarding passes. That may not sound like much, but marks a huge step forward for ease in connectivity between partner carriers. 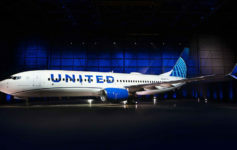 At the same time, it highlights what United and Star Alliance should focus on next. Let’s call this news a great first step. If you’re starting your trip on United and connecting to say Lufthansa or SWISS, you can retrieve both boarding passes when you check in on your app. However, if you’re starting your journey on a partner airline and then connecting to a United flight, you cannot use the United app to check-in (though you may be able to use the app of the carrier you are starting with). Also note that Basic Economy fares will not be eligible, but it seems almost redundant saying that since these fares cannot be combined with partner carriers anyway. Note that this sort of through check-in has been available for years when checking in at the airport and that will not change. You can still check-in there and receive connecting boarding passes in most cases when on a single itinerary. One thing SkyTeam does very well is making it easy for passengers to assign seats on partner carriers. For example, fly on KLM and connect on China Airlines and you can easily choose your seats for all legs on the KLM website…or the China Airlines website. Book a Delta ticket with Air France and Korean Air segments on it and you can choose seats on both partners easily at delta.com. Then you’ll only need a single boarding pass for three flights. oneworld isn’t bad either, though not quite as advanced as SkyTeam. Compare that to many Star Alliance carriers, who often make it impossible to assign seats online even if you have the proper record locator. I’ve wasted weeks of my life (mostly for Award Expert clients) on the phone with various Star Alliance carriers over the year. An Air Canada-issued Aeroplan ticket with Lufthansa, Asiana, and ANA segments will require three phone calls to properly assign seats. Imagine an app that included not just the ability to check-in on partner carriers, but to assign seats instantly and in advance. What an innovation that would be. The good news is that United and Star Alliance understand customers want exactly that. While the technology behind making this work is much more difficult than pulling a switch, if SkyTeam and oneworld can do it, I’m certain United and Star Alliance can. That would truly be an innovation that would drive loyalty. Next Article Who is Luc Bondar, United’s New VP of Loyalty? Agree about seat assignments. One thing I have noticed when booking on the United website is that if my travel includes a segment on [example] Swiss or Lufthansa, I can’t select a seat on the partner flight even in Business.. However, if I’m booking a reservation on the Lufthansa website for travel on Lufthansa AND United, I CAN select a seat on all flights. This never made sense to me as to why Lufthansa has access to seat inventory on United but not vice versa. Same is true on Air Canada. So I always call the partner airline to request seat assignments and strangely, they can see star alliance level etc. I brought this up with a United rep a while back and they were aware of the situation and indicated it had something to do with the agreements/contracts between the airlines. Whatever. Will the Passbook BPs show up on United cardstock or the partner airlines’ cardstock?